Hotel Magpie is located in Gangtok, the city is nestled in the high peaks of the Himalayas and shelters the Enchey Monastery. 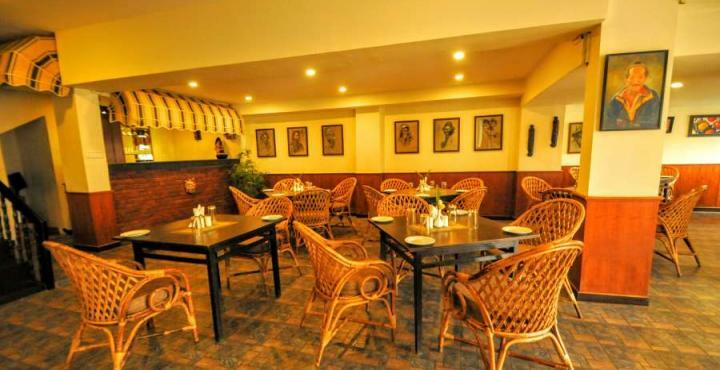 The hotel is located at the distance of 150 m from Arithang Private Bus Stand. The nearest airport and railway station is Bagdogra Airport and Siliguri Junction. One can visi t well known places like Himalayan Zoological Park (100 m), Enchey Monastery (2.7 km),Ganesh Tok (5.8 km), Banjhakri Fall (6 km), Hanuman Tok (8.6 km) and many more. The hotel provides facilities like front desk, room service, doctor on call and many more. Airport Transportation, Laundry Facilities, Currency Exchange, Breakfast Services, Family/Child Friendly, Parking, Baggage Storage on Request, Doctor on Call, Travel Counter, Room Service. Television Room, Attached Bathroom, Bottled Water in Room, Iron/Ironing Board, H/C Water, DVD Player, Cable/Satellite TV, Air Conditioning Room, Wakeup Calls, House Keeping. User reviews for "Magpie Boutique Hotel Gangtok"